House vote to strip funding creates more uncertainty. Gov. 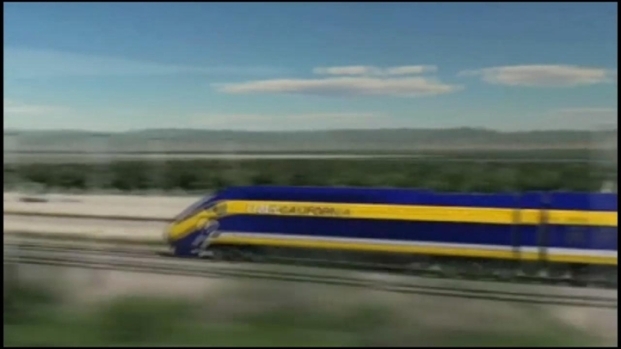 Jerry Brown's efforts to push a high-stakes high speed rail system in California are getting no love from Washington. Thursday's vote by the House to strip funding for high speed rail development this year is expected to be approved by the Senate as well. Republicans on Capitol Hill are sending a clear message to President Obama about his desire for $8 billion to boost the start of a nationwide bullet train system. The vote is "disappointing" to Jim Earp, with the California Alliance for Jobs, which is an enthusiastic backer of California's proposed system. The ambitious high speed rail system that would connect California's north to its south needs to begin construction by next fall or lose billions in federal stimulus dollars. "High speed rail is smart fiscal policy and uses federal dollars wisely to meet the infrastructure needs of our nation, create jobs, and provide an economic boost," Earp said in a statement. That sentiment was echoed Thursday by Dan Richard, recently appointed to the High Speed Rail board by Gov. Brown. "We're going to make a strong business case," Richard said on KQED Radio, for a system that he said would be a needed source of jobs and provide a long term answer to the state's transportation needs. 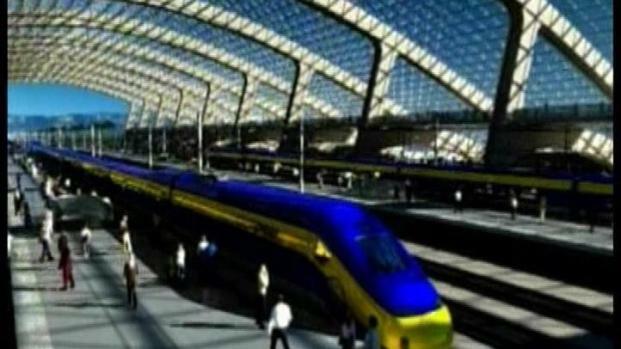 According to a business plan released Tuesday, California's plan to link its major cities by high-speed rail could cost nearly $100 billion over 20 years. The plan has drawn fire at the Capitol from lawmakers who question the plan's ridership projections and business model. Some call it a boonddoggle and question whether the system can ever be fully built. Senator Doug La Malfa (R-Richvale) is even planning legislation that would let voters reconsider their 2008 vote to approve a $10 billion bond for the project. Richard, the governor's appointee, argued Thursday that projects like this are needed in difficult times, comparing it to construction of the Golden Gate Bridge during the Depression. Meantime, Washington did hand out some rail goodies to California this week.Transportation Secretary Ray LaHood announced $21 million for Caltrans to upgrade the Pacific Surfliner Corridor in Southern California. LaHood praised the project as designed to relieve congestion and create jobs. It's the same argument high speed rail proponents are making. It's just a whole lot easier to fix up an existing system, where there's no mystery about where the funding is coming from.